How often should I do yoga? Should I do yoga when I am sick or not feeling well? You’ve probably asked yourself one of these questions before. The truth is that you can never overdo yoga unless of course, you practice it in a wrong way that hurts your body. Yoga is a great detox for your body that will allow you to get rid of all the toxins and impurities. When you practice yoga, your blood circulation improves, and your blood flows better. This means that your body will be able to get rid of the harmful elements that affect you both physically and emotionally. Yoga will also have a great impact on your immunity system and metabolism. In order to get the best of yoga, you must make sure that you have the right gear to practice yoga away from the studio or home. Buy one of the best travel yoga mats at Gym Gear that you can pack wherever you go so that you don’t miss one minute of your daily practice. 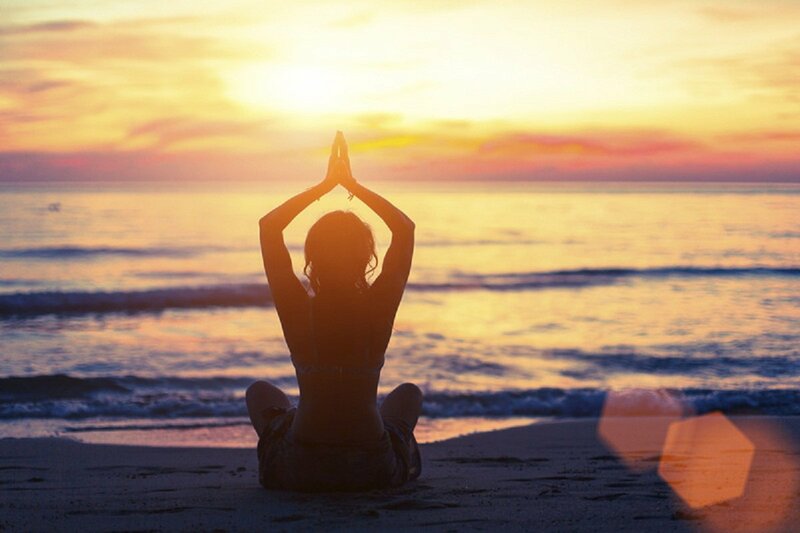 Yoga has a positive effect on emotional anxiety and depression. By doing yoga and practicing meditation, you will be able to handle the pressure that takes a toll on your emotional well-being and stability. As a result, you will be more relaxed, and you will feel more prepared to handle deadlines, exams, and different problems. Yoga strengthens your core muscles and increases your stamina. By time and while practicing yoga every day, you will sense your body changing and becoming stronger. It helps you to keep your weight in check and tones your muscles. As a result, you will notice an improvement in your physique thanks to your toned muscles. Because you are not using weights, your muscles will get toned without looking bulky. Using your own body for resistance will help you get the body you’ve always dreamt of. Strengthening your core muscles will help restore the alignment and balance to your body. As a result, you will sense an improvement in your posture, and you will see that you look more fit and even stand taller. Hunching over and slouching happens when your core muscles are not strong enough to support your body weight. Yoga helps to straighten the spine and eliminates the slouchy unhealthy look by strengthening and toning the muscles around the spine. Yoga can also help with balance and coordination problems because it gives you more control over your body and helps you restore its balance. Yoga helps improve your blood circulation and has a significant effect on regulating your blood pressure. When you do yoga every day, you will see that your breathing has improved as you stretch your chest muscles to help your lungs open up. More blood will flow throw your body, and your heart and lungs will be in perfect condition. You might not be able to touch your toes when you first start but by the time your muscles will get more stretched, and you will become more flexible. The impossible to do poses will start to get easier, and soon enough you will be able to do the more difficult ones easily. Stress is directly linked to mental health and memory problems Yoga helps you exercise your body through poses and your mind through meditation. By releasing the tension and fighting off the negative thoughts, you will be getting rid of the negativity that can affect your mental wellbeing and lead to confusion or memory problems. At the same time, your blood circulation will improve, and more oxygen will travel to your brain. This will have a positive effect on your cognitive functions and will help you stay alert, focused and in excellent condition. Take it slow and don’t stress yourself. But make sure to devote some time to practice yoga every single day. Before you know it, you will sense the incredible benefits and will be able to witness your transformation.